The TerraVITA Small Plate Crawl is coming next week (Sept 25-27)! 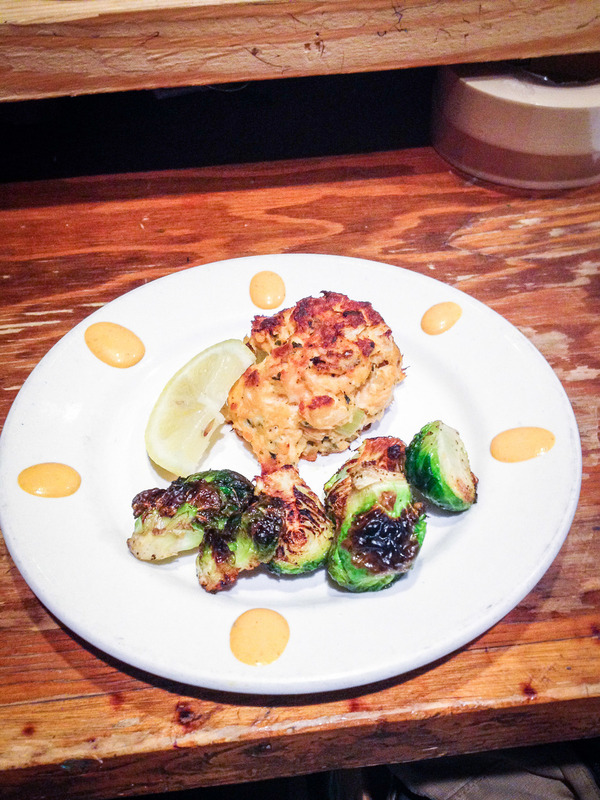 Broiled salmon cake made with fresh salmon, simple ingredients, and a twist of lemon. Brussel sprouts grilled on the flat top with salt, pepper, and oil until the edges get crispy. Sriracha aioli with garlic and lemon borders the plate to add a kick.